Ever since their correction in price from April to June, gold and silver have been on a tear: Last week, gold reached a three-month high, and silver hit its highest levels in four months. Think you’ve missed your chance to get started with precious metals, or maybe to purchase more? Think again. As we enter September, here are ten reasons to believe that gold and silver may be conspiring to climb even higher in the coming months. 01. Autumn is historically strong for gold. For the past several decades – over the course of good times and bad times, during bull markets and bear markets – gold has provided strong returns in the fall. In fact, in just the last decade, prices during autumn have increased by an average of 11.5% each year. The phenomenon is attributable to several factors, from a number of holidays and cultural events in the East, to wedding season in India, to holiday and gift-giving season in the West. 04. Increasing stock market uncertainty. Maybe it’s the impending “taper” of Quantitative Easing. Maybe it’s fears over what will happen next in the Middle East. Maybe it’s that with every week we seem to hear more about signs of the “Hindenburg Omen”. Or maybe it’s that the margin debt is at an all-time high. Whatever it is, the stock market has been teetering for a full month now. 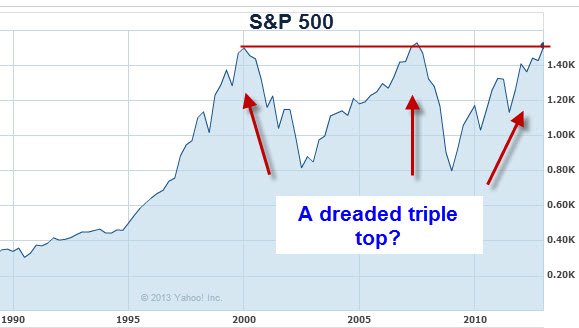 With the Dow having lost over 5% since the beginning of August, many question if recent highs from the summer were the apex of what some were calling a “triple top”. 07. China and India won’t be denied their gold. Demand for physical gold in both countries continues to be strong, with Indians flouting all attempts by their government to curb imports. John Embry sees no way to stop Indians from getting their gold: “Indians almost have gold in their DNA and when you try and stop them from getting it… I am told the smuggling has been extreme.” China also continues to prove its insatiable appetite for gold, with Embry believing that the nation is importing even more than what they’re reporting, “and at some point they may spring that on the world.” But even if we are to believe official records, China’s demand is still undeniably staggering, with recent reports having it as the new leading importer of the yellow metal. Who will the country be overtaking for the number one spot? You guessed it – India. 08. Central banks are still buying. We’re not breaking news here: Central banks are always buying gold, and the trend in recent months has been as strong as ever. A total of 15 nations added to their gold reserves in July, with Turkey and Russia – both knee-deep in the mess in Syria – leading the way. Turkey added 22.5 tons and Russia bought for the tenth straight month, taking their total gold holdings over 1,000 tons. 09. Approaching debt ceiling debate may dash confidence. For some months now, our federal government has kicked the can down the road on the debt ceiling debate, but now it looms large. Might we repeat the events of 2011 when infighting among representatives became so contentious that Standard & Poor’s downgraded United States’ credit rating to AA+? Couple this debate with the other pending debate over the federal budget and it’s not without possibility that the global community will lose a great deal of confidence in America in the coming months. 10. Even the paper gold markets are coming back. We would never recommend them, so excuse us if we don’t get too excited about this point, but there is evidence that the paper gold markets are turning around. In fact, for three straight weeks now, money managers having added to gold ETF holdings. Gold’s dip from April to June is mostly attributable to a sell-off of paper gold, but with sentiment in this most artificial and manipulated of markets seeming to reverse course, we might expect to see it help push precious metals higher in the coming weeks. Any one of these events on their own could cause precious metals to soar. But when you combine many of them? Over the next few months, the double digit gains that gold and silver have already enjoyed since June could skyrocket. But this is important: Don’t think only of potential gains that gold and silver may provide in the coming months. Think of what we believe is the real value of precious metals: their ability to protect your savings. When markets crash, when currencies fail, when everything else goes to zero, gold and silver prevail. They have proven it for thousands of years, and they will continue to do so. The protection they provide is unparalleled. If you believe that your savings may be exposed to the turbulence that we may face in the coming weeks and months, it’s time to get protected. Before it’s too late… give us a call and we’ll be more than happy to help you move into precious metals.